Some of the foreign women nabbed during the raid. Pic courtesy of police. KLANG: A police constable based at the Serdang police headquarters was arrested last night under suspicion of being a pimp. The 26-year-old, who is attached to the logistics department, is believed to be working with a Klang district-based prostitution syndicate which sources for clients via WhatsApp. Cash and condoms were found in one of the rooms. Pic courtesy of police. He was arrested at a condominium unit in Setia Alam. There, police also found drugs paraphernalia for syabu. A police source said that in the operation, police also arrested the constable’s Indonesian girlfriend, believed to be a prostitute. Klang Utara district police chief Assistant Commissioner Mazelan Paijan confirmed the case. 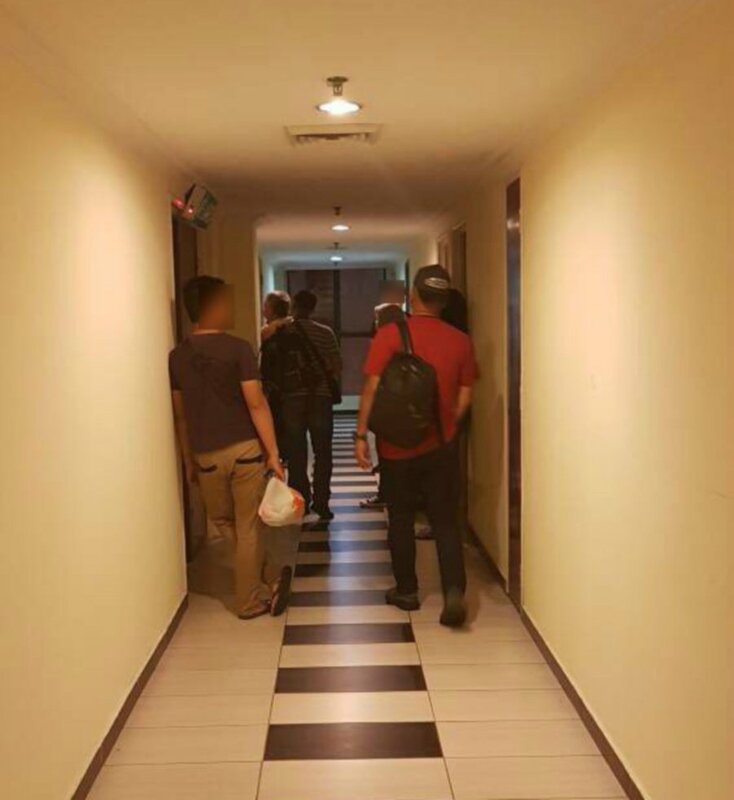 The raiding team conducting inspection at a hotel in Klang. Pic courtesy of police. He said that in the operation, code-named Ops Noda, three more Indonesian women along with two local men were arrested at a hotel here, to assist investigations. 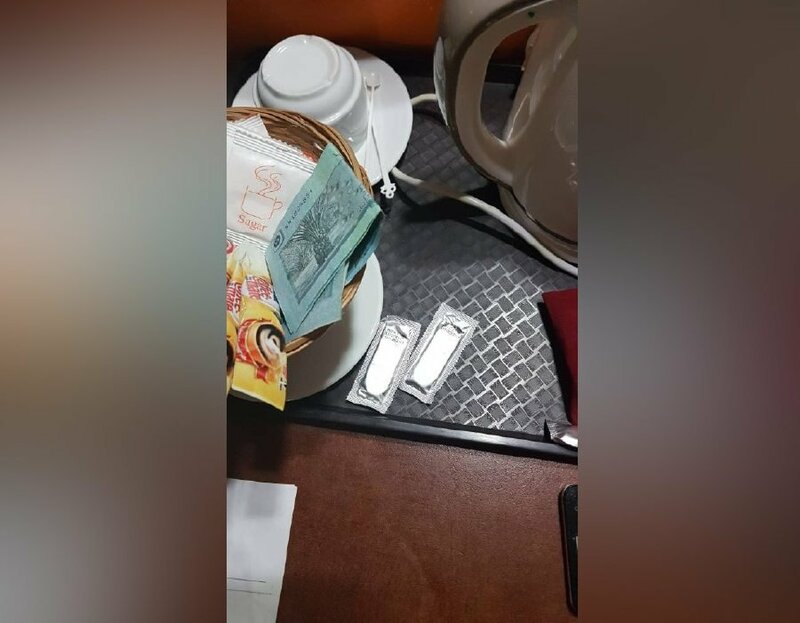 "About 6.15pm yesterday, a D7 (Secret Societies, Gambling and Vice) team from the Klang Utara district police headquarters, as well as enforcement officers from the Selangor Islamic Religious Department (Jais) monitoring and carrying out intelligence surveillance there confirmed that there were indeed prostitution activities at the hotel. He said the syndicate passes off the prostitutes as Malaysian to lure more customers. One of the women nabbed during the raid. Pic courtesy of police. 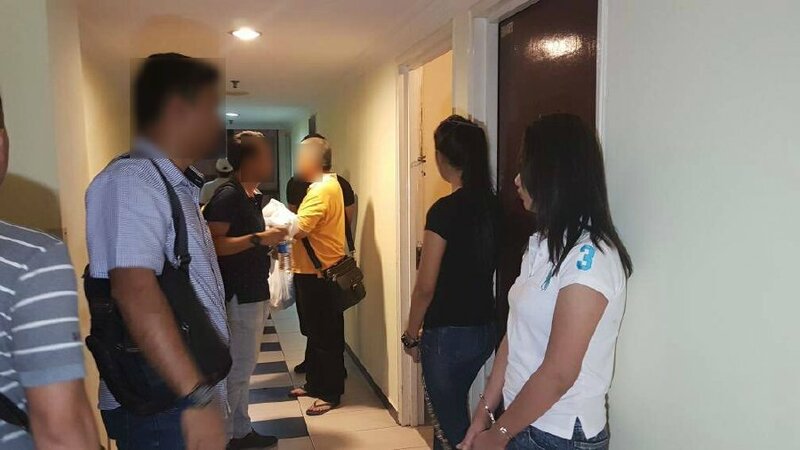 The raiding team inspected three rooms at the hotel and arrested three Indonesian women, who are believed to be prostitutes. Two Malaysian men who were guarding them were also detained. All the suspects have been remanded for a week. Mazelan said investigations are ongoing under Section 372A of the Penal Code for prostitution. With time, cars are increasing, so are the accidents. It is important to spread awareness about the accidents which happen every day, all around the world. a pay someone to write my paper is starting a campaign for spreading awareness. Police officers are for the most part accused of the fear of criminals and the prevention and detection of crime, protection and assistance of the Pay to Do my Assignment overall population, and the support of open request. Furthermore, however, I have no genuine confirmation that they offer some back to street pharmacists, I need to state it wouldn't astound me. Govt. do my homework cheap | assignmentdoer. Law requirement offices work excessively oblivious, they are not so responsive to the general population as they ought to be. You may not be looking to save money or you are not that kind of environmentally aware person, but you may still want to consider using a wood stove. Why? Well, everyone who has used one agreed that is the most efficient way to keep them warm and wood stove reviews is more comfortable than any other type of stove.